Chapter 8 takes Ana to the next county, to a larger town called Emily City. She's learning a lot about taking care of a large puppy, and has just been shopping at a pet store. Sometimes I feel as if the chapters that don't move the plot along are extraneous. Yet, I know from reading many mysteries, that the parts of the story that fill in details of the characters' lives are part of what makes a book well-liked. I'm working at finding a good balance. In just a few minutes I had pre-paid for an hour of dog-sitting, and was about $50.00 poorer all together, but feeling much better about doing the other errand I hoped to complete. It was good that Paddy seemed happy to go with almost anyone who would pay attention to him. I petted the red head, looked deep into his brown eyes and told him I’d be back soon. His standard answer was a lick and a tail wag, after which he let Brad lead him toward the back door. 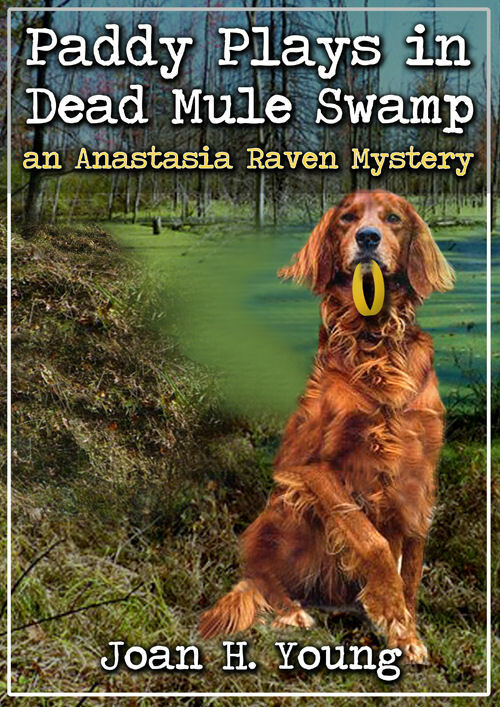 As you may have guessed, this book strongly features Patrick, Paddy, the Irish Setter. He makes friends wherever he goes.